The 8 days tour with a perfect amalgam of cultural, historical and wildlife joy is full of giving tourists bundle of unmatched experience of India exploration. The tour takes tourists to visit some of the most explored destinations of India, which are rich in their cultural and historical affluence. Visit to famous spots lie Delhi, Jaipur and Agra along with two of the world famous wildlife parks, Sariska National Park and Bharatpur National Park brings a wonderful vacation for tourists. Day 1: Delhi. Arrive Delhi. Our representative will pick you at airport, and take you to hotel, where you stay overnight. Day 2: Delhi. Take sightseeing tour of Delhi, which includes visit to famous places like Red Fort, Jama Masjid, Raj Ghat, Humayun Tomb, India Gate, President House, Lotus Temple and Qutab Minar. Day 3: Delhi-Sikandara-Agra. Take a morning drive to Agra. En route, we stay at Sikandara, a historical city of India. Enjoy sightseeing of famous forts. Drive later to Agra. Overnight stay at hotel. Day 4: Agra-Bharatpur-Deeg. Enjoy early morning visit of Taj Mahal. Later, drive for Bharatpur to enjoy wildlife viewing at its world famous bird sanctuary. In the evening, we drive further, and reach to Deeg. Overnight stay at hotel. Day 5: Deeg-Sarsika. Visit to famous Deeg Palace after breakfast. Reach to Sariska after a small drive. Enjoy wildlife excursion at the famous Sariska National Park and Tiger Reserve. Day 6: Sariska-Jaipur. Take jeep safari, and enjoy morning game viewing in the park. Later, take a drive to Jaipur, the Pink City Of India. Overnight stay at hotel. Day 7: Jaipur. 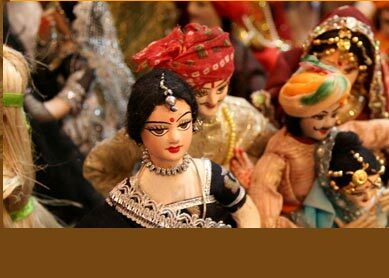 The full day sightseeing tour of Jaipur is there on card today. Visit to several of forts and palaces. Shop at its famous shopping centres. Overnight stay at hotel. Day 8: Delhi. 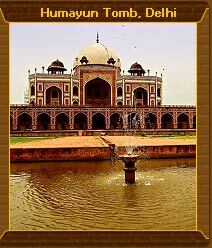 Early in the morning, drive to Delhi, where you will be catching your flights for your onward destination. Our representative transfer you to airport according to your flight schedule. Visit to plenty of famous historical edifice, which have got world wide recognition by calling visitors from all over, is all set to make you enjoy the tour with a difference. Rich in their architectural opulence and historical significance, forts and palaces like Taj Mahal, Qutab Minar, Red Fort, Lotus Temple, City Palace, Amer Fort and Nahargarh Fort form great wonder for tourists coming from around the world. Besides, visit to two of the world famous wildlife sanctuaries like Sariska National Park and Bharatpur National Park are full of wildlife exploration. The game viewing at the park by availing jeep safari leads tourists deep into the den of wild inhabitants. 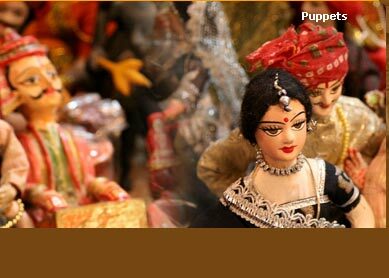 Shopping at numerous of local bazaars add another joy to your tour.